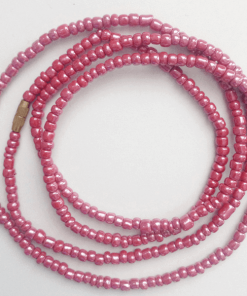 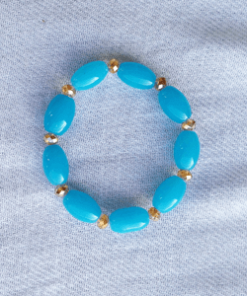 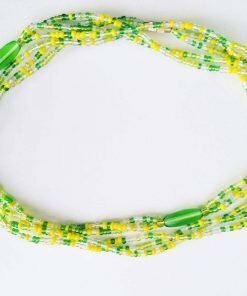 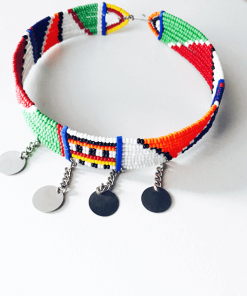 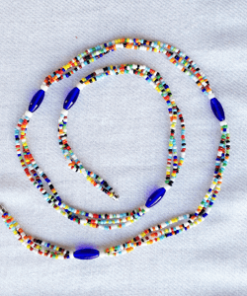 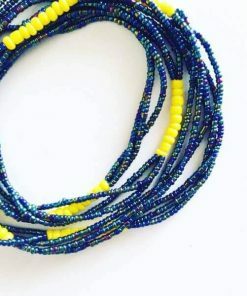 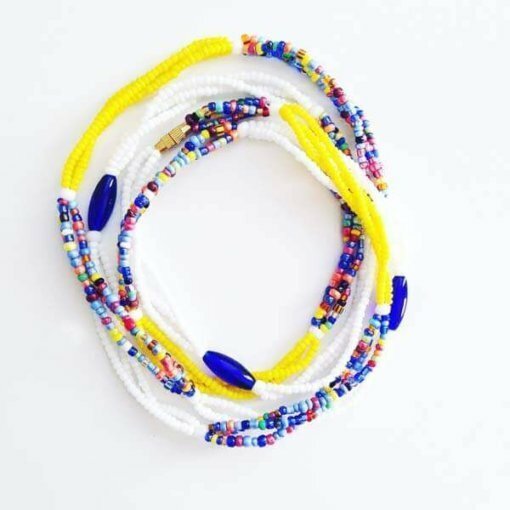 Triple strand waist beads with a blend of white, yellow, mixture of colored beads and blue oval joints. 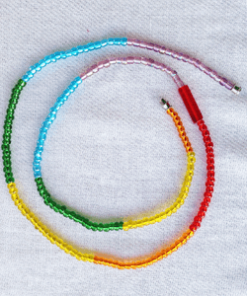 These waist beads have metallic clasps. 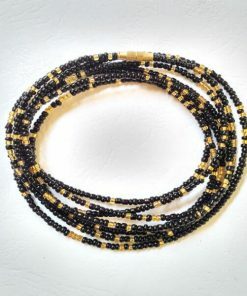 “Obaapa” is a term used in Ghana to refer to a “good woman”, good in everything she does!